Masyaf is a clean and elegant theme for bloggers. It’s focused on readability and spacing, and features all post type plus a customizable sidebar packed with widgets and SVG icons. 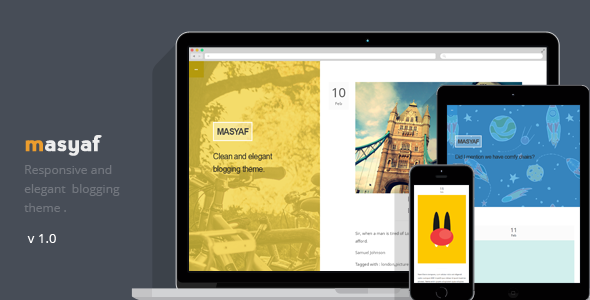 Item Reviewed: Masyaf - Clean Blogging Tumblr Theme 9 out of 10 based on 10 ratings. 9 user reviews.